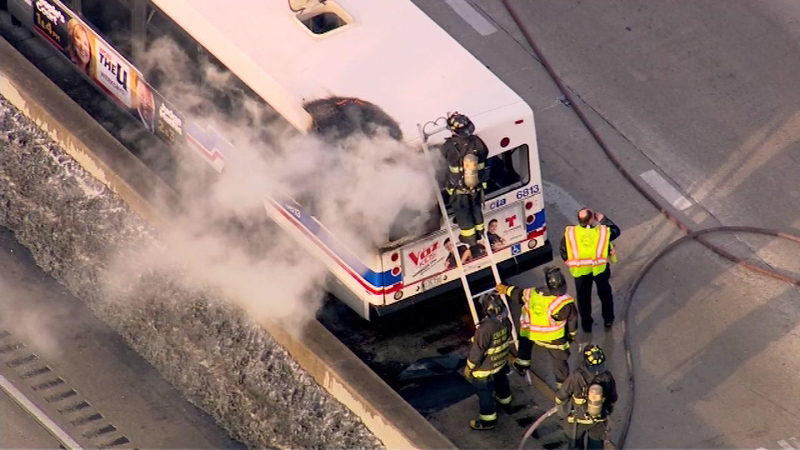 A CTA bus caught fire Monday afternoon in the northbound lanes of the Dan Ryan Expressway near 31st Street. CHICAGO (WLS) -- A CTA bus caught fire Monday afternoon in the northbound lanes of the Dan Ryan Expressway near 31st Street. A CTA spokesperson says the bus was out of service and only the bus operator was on board. No injuries were reported. The cause of the fire is under the investigation.